This tour over four hours is an amazing way to take a journey through Burleigh Heads and visit some of the top venues and explore the exceptional foodie culture on offer. Join us for a four hour guided food and wine experience. 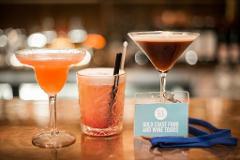 On this walking tour you will discover some of Broadbeach's best restaurants, cafes and bars! 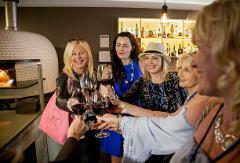 Eat like a local on the taste of Surfers Paradise Food and Wine Tour. Experience diverse food and drinks whilst being guided by our professional tour guide throughout Australia's No. 1 tourist destination. Join us for an afternoon of cocktails, canapés, food-making, local ingredients and wine tastings, all easily located along the G:Link, the Gold Coast’s tram network, commencing at Broadbeach.